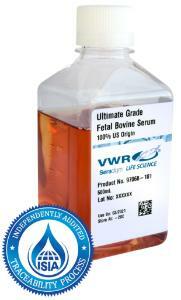 Ultimate Grade FBS is the ultimate in product quality and viral safety, undergoing additional BVD virus testing using qPCR technology. Proprietary collection and production techniques provide additional features that elevate product quality, enhance traceability, and improve regulatory compliance. 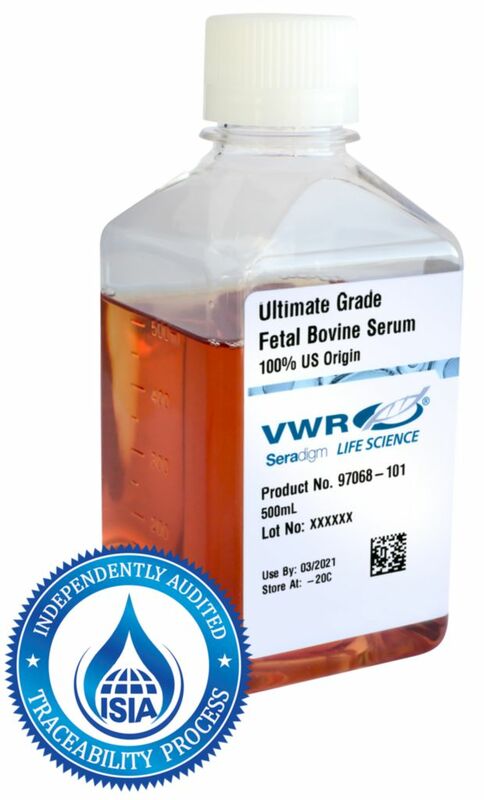 VWR Life Science Seradigm is a fully-integrated supplier of animal sera that provides the cell culture community with access to the most reliable supply of high performance, exceptional quality Fetal Bovine Serum (FBS) and cost-effective FBS alternatives. Our approach to sourcing and manufacturing is refreshingly unique and distinct from the competition, resulting in product performance and quality unlike any other. Certifications: ISIA certified supply chain for traceability.